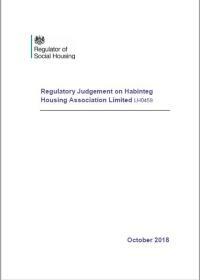 On Wednesday 31 October the Regulator of Social Housing declared a regulatory upgrade for Habinteg Housing Association. The organisation now has a G1 rating for governance and a V1 rating for finance viability – the highest compliant rating available. The vice president of the Town and Country Planning Association, the chair of the National Housing Federation and other members of the House of Lords recently debated the case for building more affordable housing across the UK. 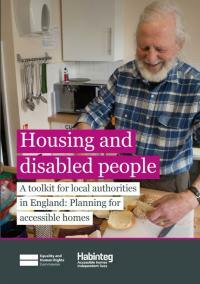 Habinteg and Equality and Human Rights Commission release free accessible housing toolkits. 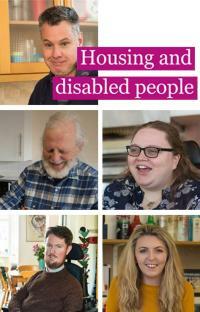 Habinteg has created a toolkit designed to help local government leaders improve the availability and management of housing for disabled people. The document offers best practise approaches and practical tools to empower local authorities to consult, provide useful adaptations, assess housing stock and build accessibility into planning frameworks. What’s cooking at Wagtail Close? Judith Cummins MP joined tenants and staff of Habinteg Housing Association to help celebrate the opening of a brand new community restaurant on Friday 12 October. Ginny, a former medal winning Paralympian and first tetraplegic to swim a mile tells us how accessible housing gave her a voice to be a campaigner, teacher, author and more.